You might be of the impression that gas-powered air compressors are only used by construction workers where there is no electrical supply. That may have once been true, when these were extremely large machines that needed a trailer to move them about. 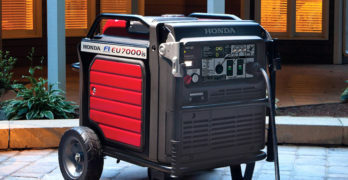 These days, things have changed and there are many portable gas air compressors that are just as practical as electric machines. Any air compressor is a fairly expensive machine to buy and industrial-grade models can be prohibitively expensive for the average guy. Though you can find very reasonably priced gas-powered air compressors that are ideal for a contractor, farmer, or even the home user. So we’ve decided to find the best gas-powered air compressors for the money. We’ve considered quality, so you’ll recognize some top brands in the mix. We’ve obviously looked at price and there’s a good selection of cheaper as well as more expensive options. When looking at price, it’s not a simple matter of getting the cheapest available option. Any piece of machinery, when it’s too cheap, is not always the best option. One needs to be concerned about durability, as well as service and parts availability. If we’re talking gas-powered air compressors, this is more important than with almost any other machine that we may purchase. Gas air compressors have a lot of mechanical parts. The pump and safety features are similar to electric models and there’s the gas engine to deal with. A cheap engine is going to mean a lot of headaches to come. So while we have considered your budget as a priority, I’d never suggest that you waste your hard earned cash on a heap of junk, purely because it was the cheapest. We’ve looked for value for money, with the understanding that you’re in this for the long haul. You want a machine that’s going to last and this means that robust build-quality and dealership service are of vital importance. If you’re not sure if a gas-powered air compressor is your best option, it would be a good idea to compare them to an electric equivalent before you decide. So before reviewing the best gas air compressors, let’s take a look at the pros and cons of both electric and gas air compressors. I’ll start by pointing out the obvious, a gas air compressor uses a gas engine, whereas an electric air compressor uses an electric motor. This means that their applications may differ. Though, in most cases, either will be fine. So it might depend a lot on which appeals to you more. There are some instances where a gas air compressor could be the best one for the job. The first reason why some people prefer gas to electric is that you don’t need an electrical outlet close by. Because an air compressor draws a high amperage, it may be impossible to use an extension cord over a longer distance. The gauge of the cable required might just be too high. So this makes a gas air compressor the obvious choice if you’re not always using it in your shop or garage. A less obvious reason is the manner in which the power is delivered and this can be very important when spray painting or using high volume pneumatic tools. The gas engine runs permanently and the pressure is controlled by a relief valve. An electric air compressor cycles. It will pump air into the tank until the maximum pressure is reached and then switch off. The pressure has to then drop to a minimum level before the pump switches on again. A gas air compressor maintains a constant pressure, you don’t have to wait for it to recover when the pressure drops — though if you exceed the CFM rating for the pump by too much, you may have to wait for it to recover periodically. Having a pump that delivers a lot more than the 90 PSI maximum for most tools will help in this regard. If you’re familiar with spray painting, you’ll understand why constant pressure is so important. This is what gives you an even paint distribution without runs or the orange peel effect. The same can be said for heavy-duty pneumatic tools that will quickly reduce the pressure inside the tank. Having a pump that is continuously supplying air to the tank means that your pressure will never drop. So these pros may convince some that a gas air compressor is their best option, but it’s not all good news. Gas air compressors can only be used outdoors. Any gas engine needs adequate ventilation to disperse harmful carbon monoxide fumes and the engine can become excessively hot without adequate air cooling. An air compressor is already quite a loud machine and the added noise of the gas engine makes them even noisier. There are also a few extra safety precautions involved when using gas. Some may consider the maintenance costs associated with gas engines to be a disadvantage. I’d agree that it requires more effort when compared to an electric that motor requires virtually no maintenance. However, in terms of long-term costs, I prefer gas. An electric motor will have to be replaced at some point, whereas a gas engine can be repaired many times and will usually outlast any electric motor. A quality gas engine, if well-maintained, could easily last you a lifetime. Again, I’ll emphasize the importance of buying a quality gas air compressor from a reputable brand. Electric air compressors are usually cheaper, which is one of the contributing factors to their greater popularity. They’re also lighter and aren’t usually as bulky. 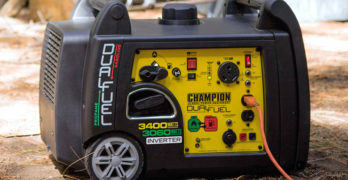 Most people prefer the easy, hassle-free setup of an electric air compressor. You simply plug it in and switch it on. An electric air compressor can be used indoors. Though, unless you choose a silent air compressor, the noise indoors can be unbearable. Even then, the term “silent air compressor” can be misleading. Realistically, there’s no such thing. It’s just that some air compressors are designed so that they are quiet enough to be used in the same room where you’re working. So you won’t need extra pipes to run from the unit to where you need it. The fact that an electric air compressor switches on and off, can be beneficial to many users. You don’t have any noise when the motor shuts off and it saves on energy consumption. If a constant high volume supply of compressed air is not important to you, an electric air compressor could be your best choice, assuming you have a power supply close enough to where you intend using it. Okay, let’s move on the important stuff. A comprehensive review that will help you choose the best gas-powered air compressor at the best price. ✓ View or download the MANUAL for the DeWalt DXCMTA5090412. Contractors around the world see DeWalt as one of the best brands when looking at quality power equipment. I agree with this, and it’s probably the ultimate tool brand for DIY enthusiasts. While not as expensive as many of the major industrial manufacturers, DeWalt tools are usually just as tough and they’re wonderful to use. This would probably be my first choice for a gas air compressor and I’ve read several reviews that make the same statement. 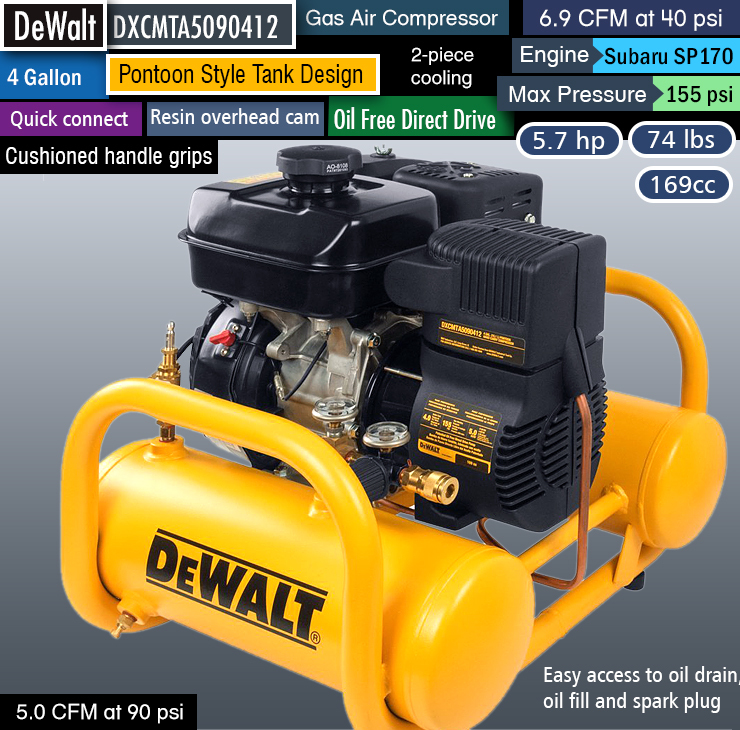 DeWalt does not make many gas-powered tools, they don’t even list the DXCMTA5090412 gas air compressor on their website. Though, when they do decide to produce gas-powered equipment, they pay the same attention to durable quality as they do with their electric equipment. They take a lot of care in selecting the best engine for the job and stick with renowned manufactures. For this air compressor, DeWalt use a Subaru SP170 engine and it looks like an excellent choice. This 169cc, OHV engine with its Uniblock construction and resin overhead cam is designed for residential use. So it’s much quieter than most gas engines used for power equipment. It’s also remarkably fuel efficient. Subaru, like most Japanese engines, are famous for their reliability, economy, and long-term durability. Delivering a very respectable 6HP, this engine runs a direct drive, oil-free pump. This means great efficiency, lower maintenance and enough power to deliver 6.9 SCFM at 40 PSI and 5 SCFM at 90 PSI, reaching a maximum operating pressure of 155 PSI. This is enough to keep any pneumatic tool running constantly. The dual 2-gallon pontoon style tanks provide 4-gallons of compressed air storage and this design makes it wonderfully compact. When it comes to portability, the DeWalt DXCMTA5090412 is one of the best and it weighs only 74 LBS. The super-tough steel frame not only provides great protection for the compressor, it also has rubber grips on either side, making it really easy to carry. With measurements of Height: 20.5”; Width 24.25” and a length of 21.75”, the DeWalt is about as compact as anyone could want for a powerful 6HP gas air compressor. As always, DeWalt has designed this air compressor to be easy to use while making maintenance tasks quick to do. As a result, it has quality gauges and an excellent regulator valve. This is the standard twist valve that allows you to adjust the output pressure by turning the valve clockwise or counter clockwise. With the gauges and pressure control at the quick connect fitting, you can easily see the tank and output pressure at a glance. Changing the engine oil is made easy by a very accessible drain plug and filler. You also get a great contractors bag and all the necessary tools for this air compressor. The engine starts and runs perfectly with a manual choke and automatic RPM adjustment to meet the load requirement. Like so many, I only expect the best from DeWalt and that certainly applies to this gas air compressor. When it comes to spare parts, technical support, and every accessory you could hope for, you can always count on DeWalt. 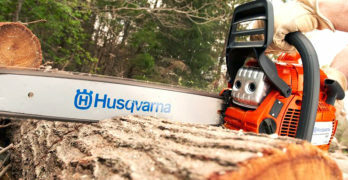 This is one of many benefits of buying from one of the oldest and most trusted names in the power tool business. 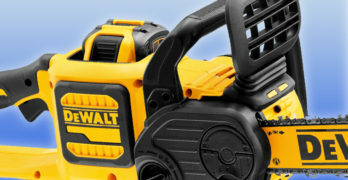 DeWalt usually offer a 3-year warranty, 1-year free service plan, and 30-day money back guarantee on all their products. Though it seems that the DXCMTA5090412 comes with a standard 1-year limited warranty. I think this may be because this is an older model and 3-1-30 DeWalt warranty was introduced in 2004. I’m certain this is no indication that this air compressor is inferior to any of their other products. I’m certainly not alone in calling this one of the best gas-powered air compressors for the money. 10 gallon, 163cc, 5.5 hp — Honda GX160. Best gas-powered air compressor. Ideal for : Framers, roofers, siding installation, decking, fencing, farming, general contractors, rental industry and more. ✓ View or download the MANUAL and the BROCHURE for the Makita MAC5501G. Because the Makita MAC5501G is considerably more expensive than the DeWalt DXCMTA5090412, not many folks would call this the best gas-powered air compressor for the money – the DeWalt certainly seems to be more popular. Though I can see why it’s worth paying extra for the Makita, it knocks the socks off the DeWalt in every aspect. That’s with the exception of portability, the Makita is a bigger and heavier machine. The first thing that has me sold on the Makita, is the truly magnificent Honda GX160 4-stroke engine. I’ve said this before, and I’ll say it again: in my opinion, this is the best engine ever built. They’ve been manufacturing the GX engine range for years and, while they’ve made some improvements over the years, it’s hard to top perfection. So this is the same durable engine that people have come to revere. It’s just been improved to provide better fuel efficiency and lower emission levels. Even though this engine doesn’t deliver quite the same Horse power as the 6 HP Subaru used in the DeWalt, at 5.5 HP, you actually get better performance from the Makita. This is thanks to their magnificent cast iron Big Bore pump, which is probably the most durable and effective air compressor pump you’ll find. So you get 14 CFM at 40 PSI and 12.5 CFM at 90 PSI, reaching a maximum working pressure of 135 PSI. As much as I like the DeWalt, you have to admit that with such a high air flow rate, the Makita certainly has the wow factor. Because the DeWalt supplies its spec in SCFM and the Makita in CFM, the Makita spec may not compare as favorably under certain conditions. Though it will always be considerably higher than that of the DeWalt. After the review, I’ll discuss the difference between SCFM and CFM. It also has twin pontoon style air tanks but with a much greater volume of 10-gallons. If you’re using several high-powered pneumatic tools simultaneously, the Makita MAC5501G is, by far the superior machine. In addition to this, the V-twin pump design with exceptional cooling capabilities results in lower condensation levels and, therefore, a lot less water collecting in the tank. Although this a pretty heavy machine with a weight of 192 LBS and a length of 46”, it has great portability. This is thanks to a large 10”, no-flat wheel at the front and two rubber grip wheelbarrow style handles at the back. So it’s quite a brute to lift and some extra length when loading onto a truck, it’s not very wide and very easy to move over any terrain. It also has four thick rubber standing feet which reduce the vibration. Although many prefer an oil-free pump because they don’t require any maintenance, I like the old-fashioned oil lubricated pump. This is because they are much more durable. So, even though you need to keep an eye on the oil level and change it periodically, I prefer the oil lubricated pump fitted to the Makita. It has an oil sight glass and they’ve made it pretty easy to drain both the engine and pump oil. The ball valve drain for the tank adds to the convenience and it’s absolutely no hassle to remove water from the tanks. Another bit of extra maintenance is the fact this is a belt driven pump, unlike the direct drive DeWalt. Though, once again, I prefer the belt design because it makes repair to the pump much easier as it is an entirely separate unit and not connected directly to the engine. Basically, the Makita is designed to a more industrial standard. The steel control panel is super user-friendly, it’s angled to provide perfect visibility of the gauges. There are two brass quick connect pipe couples and two pressure gauges. It has a regular twist style pressure regulator, all with quick and easy access. I’m always comparing DeWalt and Makita tools with great scrutiny. This is because these are the two tool brands for which I have the most respect and the equipment in my shop is as testament to this. In some cases, I prefer DeWalt and, in others Makita. Though 90% of the time, my first choice would be either of these brands. Admittedly, they’re more expensive than many of the brands that are aimed at the DIY user. When compared to top industrial brands, both DeWalt and Makita are usually much cheaper and often just good, if not better. So the fact the Makita MAC5501G is so much more expensive than the DeWalt DXCMTA5090412 is purely because the Makita is a much more capable machine. So while the DeWalt offers exceptional value for money, the Makita provides so much more in terms of industrial design and performance. For that, I feel that the Makita is definitely worth the extra bucks. Net Weight : 192 lbs. Shipping Weight : 233 lbs. 4 gallon, 160cc, 5 hp — Honda GC160. Best gas-powered air compressor. Powered by a Honda engine. Excellent value! My impression of the DeWalt DXCMTA5090412 being one of the best gas air compressors for the money may have a lot to do with my affinity for the brand. The Industrial Air Contractor CTA5090412 is cheaper, and it seems to use the same pump as the DeWalt and the same Honda engine as the Makita. It looks almost identical to the DeWalt with the exception of the engine and the orange color. Even as a certified DeWalt supporter, I have to admit that the Industrial Air model may be the better option. That’s mostly because I would choose the Honda GX engine over any other. The Subaru engine may be just as good, but I haven’t had much experience with this engine. Whereas I know from years of experience, the Honda is as faithful as it gets. Apart from the engine, the Industrial Air Contractor CTA5090412 matches the DeWalt in every detail. It has the same sturdy roll cage and also delivers 5 SCFM at 90 PSI 6.9 SCFM at 40 PSI. 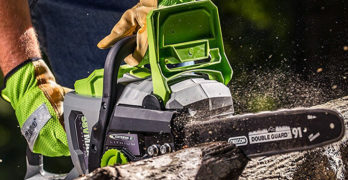 It uses a direct drive, oil-free pump that appears to be identical to the DeWalt. It also weighs the same at 75 LBS and has the same dimensions. So, as far as I can tell, unless you’re (like me) a faithful loyalist to the DeWalt brand, there isn’t really much sense in paying more for the DeWalt. I’m also conflicted by my undying support for the Honda GX engine. So I can only come to the conclusion that between the DeWalt and the Industrial Air, this one has to take the crown as being the best gas-powered air compressor for the money. Wheelbarrow design makes it easy to move. I’m not too sure what the difference is between the Hitachi EC2510E and the EC2610E is. They seem to be basically the same air compressor with one being black and the other grey. All I can tell is that the Hitachi EC2610E has the option of an auxiliary air tank. Other than this, there seems to be no noticeable difference and, in terms of specifications, they are identical. So I’m going to review them on the same basis. You can view either as being applicable, it’s just that you can extend the compressed air storage capacity with the EC2610E. Out of the gas air compressors in this review, the Hitachi EC2510 is in direct competition with the Makita. It costs the pretty much the same, looks very similar and has nearly identical specs. So, as with my comparison between the DeWalt and Industrial Air machines, I’ll have to admit that my preference for the Makita is probably about my love for the brand. The Hitachi also uses the Honda GX160 4-stroke engine and I think I’ve made my views on this engine abundantly clear. I’ll always sway in favor of this engine over any other. The cast iron, oil lubricated pump doesn’t perform as well as the Makita V-twin but should be just as durable. It’s hard to tell, though I feel that the Makita pump is the better of the two. This certainly shows in the lower CFM rate for the Hitachi at 9.5 CFM at 90 PSI. The pump has efficient cooling fins and this will help in reducing condensation in the tank. One of the advanced features in the design of the Hitachi is the pneumatic throttle. They claim that this is more reliable than the conventional cable setup. This may well be true, cables can tend to crimp and jam. Though I’m not entirely convinced that a pneumatic system won’t present its own challenges. That being said, in my experience pneumatic systems work perfectly as long as the air pipes remain in good condition. The Hitachi is as solid as the best of them. It has the same long, dual air tanks as the Makita. I don’t see a size spec for the tanks, but they seem to be exactly the same as the Makita. The Hitachi also has the single wheel, two handle, wheelbarrow design as the Makita. It’s also a heavy machine at 144-pounds and rests on similar vibration reducing feet. The steel control panel has two brass quick connect couplers, and an output pressure gauge which is flanked by a regular pressure control knob. The tank pressure gauge mounts directly to one of the tanks and is combined with the pressure relief valve. Although this is a strong metal unit, the manner in which it protrudes from the tank makes it susceptible to damage when transporting. While the Makita and Hitachi air compressors are very similar, I think that the Makita beats this one in a few of its design aspects. They are both great machines and incredibly tough. I’d say that if you find the Hitachi at a price well below that of the Makita, this one could be better value for money. Though, at the same (or very similar) price, I would prefer the Makita. What’s the Difference between SCFM and CFM? The generally accepted method for measuring air flow volume in the US is Cubic Feet per Minute (CFM). Though, particularly when looking at air compressor specs, we often see this given as SCFM which stands for Standard Cubic Feet per Minute. I’m sure many of you have been wondering what the difference is between these two abbreviations. There is actually a significant difference and it all gets a bit scientific and involved. So I’ll try keep it simple. The basis for the Standard Cubic Feet per Minute measurement is that air is affected by pressure, humidity, and temperature. Because an air compressor uses air at much higher pressure than say, for example a fan, SCFM is very important when comparing air compressor specs. Along with this, air compressors generate quite a lot of heat and there is condensation inside the tank. All of these factors mean that the SCFM rating for an air compressor will be much lower than a regular CFM rating. Every industry has a different standard for calculating SCFM based on the particular conditions involved. For an air compressor, this is usually 14.7 psia at 68°F and 36% relative humidity – though this can vary depending on the expected duty cycle. You don’t have to concern yourself too much with this calculation, because the engineers should do it for you. However, when you want to compare an air compressor with a CFM rating to one with an SCFM rating, you need to account for this. To do this will never be exact, because you can’t determine the exact formula that the engineers used to calculate the SCFM rating. One thing’s for sure, a CFM rating for an air compressor will always be higher than the SCFM rating. So it will appear as though the one with the CFM rating is the better machine, whereas the opposite could be true. Generally I make the assumption that the SCFM rating will be 25% lower than a CFM rating for the same air compressor. Based on this, we can say that an air compressor with a 10 CFM rating can compare to one with a 7.5 SCFM rating.